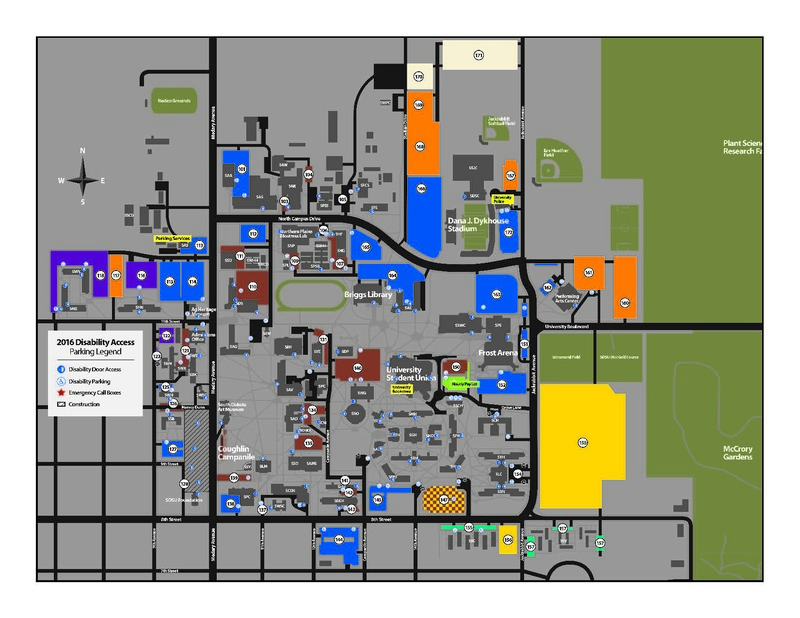 Handicap parking stalls are provided in designated areas to facilitate physically disabled students, faculty, staff and visitors. Anyone utilizing a handicap parking stall must display a state-issued disability placard or license plate and at least a valid SDSU commuter or reserved parking permit. Each state is different on how to obtain a state-issued disability placard so please consult with your physician for more information. South Dakota Residents needing more information, click here. SDSU Parking Services does not handle the distribution of handicap placards or license plates.